Eritrean Afar refugees have fled to Ethiopia since 2000 to escape persecution due to discrimination, violation of human rights, forced military conscription and restriction of movement. Both Aysaita and Berhale refugee camps were established in 2007 to host Eritrean Afar Refugees. 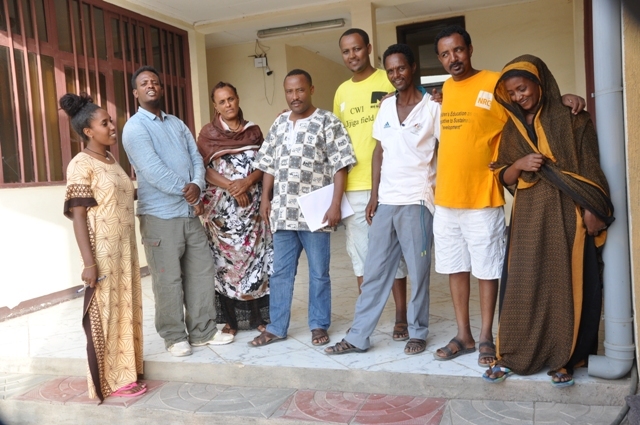 Aysaita and Berhale Refugee camps are coordinated by Samara zonal Refugee coordination office based in Samara. Aysaita and Berhale refugee camps are located in Afar Regional State, Which is the homeland of the Afar people and bordered by: Eritrea in the north and northeast; Djibouti in the east; Tigray and Amhara Regions in the west and southwest. The Regional sState is subdivided into five zones with 29 woredas. Aysaita and Berhale refugees camp sites are astronomically located in a hot climate zone at 41044’55’’E/11058’91’’ N and 40000’70 /13084’10’’N respectively in the Aysaita Woreda and Berhale Woreda respectively of Afar National Regional State. The average altitude of Aysaita Refugee camp is about 365 meters above sea level while that of Berhale refugee camp is about 695 meters. 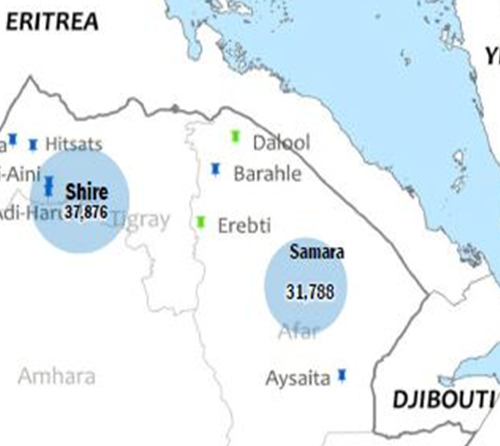 Aysaita and Berhale are the nearest towns adjacent to the respective refugee camp sites with a population of 13,920 and 12,141 respectively as of January 2018. The nearest major towns are Semera and Mekelle. Aysaita refugee camp is 68 Km from semera town and Berhale refugee camp is 112km from Mekele town. ARRA in coordination with UNHCR is providing basic humanitarian assistance and international protection to refugees hosted in the camps. There are significant numbers of refugees living out of the camp mixed with the host community due to absence adequate services in the refugee camps such as shelter.